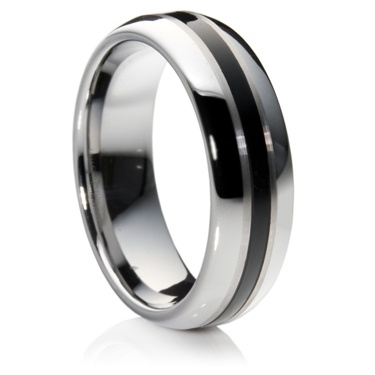 7mm tungsten carbide Dome-shaped ring. The ring has a black resin inlay band down the center that encircles the ring. The high polish finish is extremely tolerant to scratching. Unlike other metals it will maintain its polish for many years.